Don’t be discouraged by thinking that car seats are just for children. Car seat wedges are becoming more and more popular because they provide the extra support and comfort you need when sitting for long periods of time. In fact, it’s not just cars that cushions are available for, it’s also wheelchairs and chairs for the office. However most British drivers spend an average of more than a year and 88 days in their lifetime in traffic jams alone. This highlights the need for some extra comfort we need in the car! We stock a range of wedges that are available in different sizes and formats that are designed to relieve the pressure placed on the base of the spine. 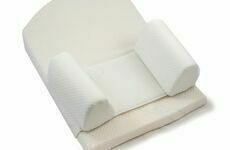 Our main product is a specialist car seat wedge that is shaped to seamlessly fit onto the base of a car seat. 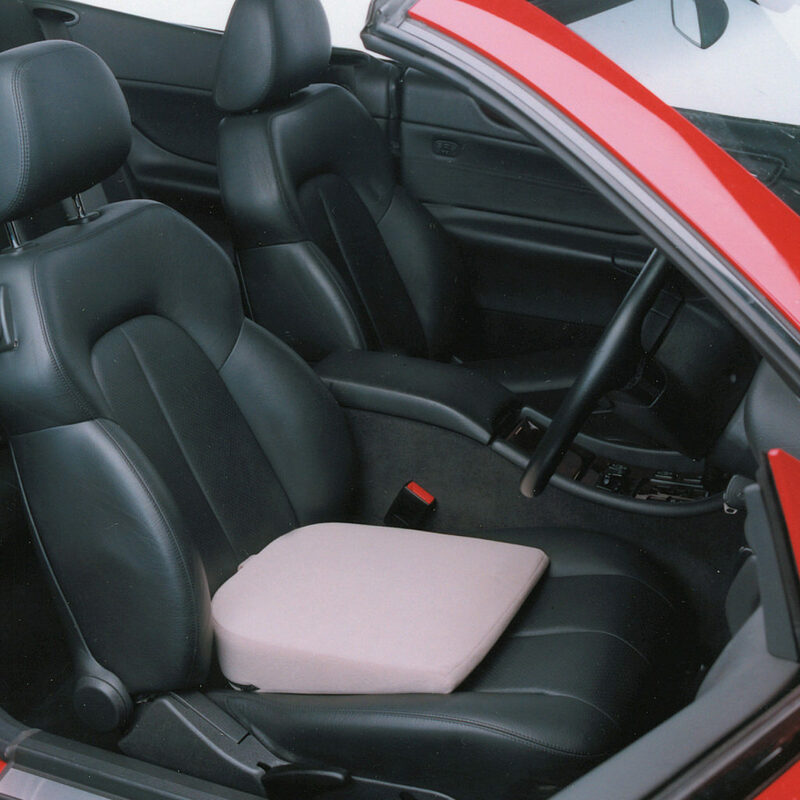 We also offer a car back cushion which is designed to support the lumbar region of a user’s back. 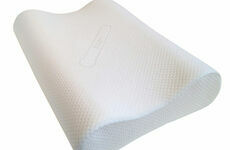 This type of cushion moulds to your body shape to help support your spine further. It contains a removable section which allows the user to increase or reduce the level of postural support the cushion gives. Additionally, we have a memory foam wedge and a posture wedge available, which are able to provide luxury and comfort and improve your posture. Those who spend a lot of time driving, or sitting for long periods of time may experience lower back aches and pains. Car seat wedges are able to do something a bit more than just a normal cushion. The idea of a wedge is that it is slanted to enable the user to sit comfortably at the thicker end while still allowing the rest of the body to be completely cushioned. By ensuring the wedge levels off the car seat, there will be less strain and pressure on the back of the lower thigh. It will also help to push the hips forward to promote a better upright sitting position. The luxury CosyCo foam in the car wedge will provide a comfortable seating surface that will effortlessly support you on car journeys. There is no better place for extra comfort than in the vehicle that you travel in the most. It is essential that you remain comfortable and pain free when driving for long periods of time. Our car seat wedges offer a wide range of benefits that you will keep you completely satisfied when on your travels, allowing for a pleasant experience on the road.